Born in Hong Kong in 1945 and educated in Canada and the U.S., Victor Chan is a particle physicist who decided to escape from his graduate work at the University of Chicago and travel to Asia. In 1972, he met the Dalai Lama in Dharamsala, India during Holy Festival. "My friend and I were splashed by these balloons of coloured water when we got off the bus," he says, "so I remember it very well." Inspired by his encounter with the Tibetan religious and political leader, Chan began to co-author a book with the Dalai Lama to be called The Resplendent Heart in Intimate Journeys and Conversations. In 1984, Chan made his first visit to Tibet, covering 42,000 kilometres on foot, by horse, by yak, by coracle, by truck and by bus. He returned in 1990 to walk the pilgrim trails. These visits led to his 1100-page Tibet Handbook: A Pilgrimage Guide (Moon Travel Handbooks, 1994). The promotional materials state Chan was the first person to reach Lhasa from Kathmandu by mountain bike. More importantly, he is touted as the only non-Tibetan to have made all three of the sacred Tibetan pilgrimages to Kailish, Tsari and Lapchi. An attendee at His Holiness the Dalai Lama's meetings all over the world, Victor Chan provides an insider's account of the spiritual master's teachings in The Wisdom of Compassion: Stories of Remarkable Encounters and Timeless Insights (Riverhead). Co-authored by the Dalai Lama and Victor Chan, the book offers insights into the Dalai Lama's life and his efforts to translate compassion into action. Chan's behind-the-scene accounts describe the Dalai Lama's interactions with remarkable people from all walks of life. Victor Chan is founding Director of the Dalai Lama Center for Peace & Education. Victor Chan and the Dalai Lama also co-authored The Wisdom of Forgiveness, shortlisted for the Best Spiritual Book of 2005 (Nautilus Prize, New York) and translated into 14 languages. Now a resident of Bowen Island, Chan was primarily responsible for the visit of the Dalai Lama to Vancouver in 2004 and the organization of the Balancing Educating the Mind with Educating the Heart dialogues at UBC. This event featured the Dalai Lama, Archbishop Desmond Tutu, Shirin Ebadi (the first Muslim woman to win the Nobel Peace Prize), former Czech president Vaclav Havel, Rabbi Zalman Schachter-Shalomi and Professor Jo-ann Archibald. With Pitman Potter, director of the Institute of Asian Research at UBC, he was also instrumental in helping to establish a Tibetan studies program at UBC. Karmic links brought Victor Chan to Dharamsala-according to the Dalai Lama. And those karmic links, in turn, have repeatedly brought the Dalai Lama to Vancouver. The year was 1971. Needing a break from his studies in Canada and the U.S., Victor Chan bought a VW bus in Utrecht and planned to make his way overland to India. A few months into the trip he found himself spending nearly half a year in Afghanistan, then a haven for dropouts and would-be adventurers. Since then Victor Chan has written an extraordinarily detailed, 1100-page guide to pilgrimages in Tibet; he has co-authored the Dalai Lama's Wisdom of Forgiveness; and he has thrice helped to arrange the Dalai Lama's itinerary for visits to Vancouver-in 2004, 2006 and 2009. Born in Hong Kong in 1945, Victor Chan was a particle physicist before he decided to escape from graduate work at the University of Chicago and travel to Asia. In 1984, Chan made his first visit to Tibet, covering 42,000 kilometres on foot, by horse, by yak, by coracle, by truck and by bus. He returned in 1990 to walk the pilgrim trails, becoming the first person to reach Lhasa from Kathmandu by mountain bike. In 1994 he was touted as the only non-Tibetan to have made all three of the sacred Tibetan pilgrimages to Kailish, Tsari and Lapchi. With Pitman Potter, director of the Institute of Asian Research at UBC, Chan was instrumental in helping to establish a Tibetan studies program at UBC and he co-founded the Dalai Lama Center for Peace and Education with His Holiness in 2005. Their Center instigated the Vancouver Peace Summit: Nobel Laureates in Dialogue, September 26-29, 2009 featuring former Irish President Mary Robinson and Archbishop Desmond Tutu, as well as Vancouver-based spiritual writer Eckhart Tolle, educators, philanthropists and entertainers such as the Blue Man Group. The Dalai Lama's mini-Woodstock event in New York's Central Park was arranged by actor Richard Gere. Only evangelists Billy Graham and the Pope have drawn more people in Central Park. Without any fanfare, Victor Chan has become the organizational equivalent of Gere in Vancouver. Most of the time he lives in relative obscurity on Bowen Island. In 2004, the Dalai Lama's two public talks were sold out in advance within 30 minutes of the tickets going on sale. These talks were to be presented in a 4,000-seat building at UBC but the location was changed to the 12,000-seat Pacific Coliseum. Again, all 12,000 seats were sold quickly, for each event. TRAS president Dr. Marion Tipple presented her Tibet photographs at the Vancouver Public Library and TRAS was invited to mount a display at the Bank of Hong Kong's Pendulum Gallery. Victor Chan was born and raised in Hong Kong. After high school he attended colleges in Canada and the US. In 1971, needing a break from his studies, Chan bought a VW bus in Utrecht, Holland and planned to make his way overland to India. A few months into the trip he found himself spending half a year in Afghanistan, then a haven for dropouts and would-be adventurers. At the end of his sojourn he was abducted, together with two fellow travelers, Cheryl from New York and Rita from Munich, by three rifle-wielding Afghan men. They managed to escape after three days and Chan traveled with Cheryl to India. It turned out that she had a letter of introduction to the Dalai Lama. It was in March of 1972 that Chan, an ethnic Chinese, sat face-to-face with the exiled Tibetan leader for the first of many encounters. This unusual story is first told in the Wisdom of Forgiveness: Intimate Conversations and Journeys (Riverhead Books, 2004), a book co-authored by the Dalai Lama and Chan. The book was short-listed for the Best Spiritual Book of 2005 (Nautilus Prize, New York) and translated into 14 languages. The Dalai Lama and Chan's new book, the Wisdom of Compassion: Stories of Remarkable Encounters and Timeless Insights, will be published by Riverhead on Dec 27, 2012. According to the Kirkus Review, "The authors-Chan previously co-wrote The Wisdom of Forgiveness (2004) with the Dalai Lama-bring forth numerous stories of empathy and consideration that they have personally witnessed. Believing that a person's goal in life is to be happy, and that the causes of unhappiness are primarily internal bouts of anger, attachment and ignorance, the Dalai Lama has spent more than 50 years practicing and promoting his wisdom to millions of people around the world. From watching the Dalai Lama interact with young children with serious illnesses to recording the wise words of his good friend, Archbishop Desmond Tutu, Chan portrays a rarely seen, intimate side of the Dalai Lama, a life full of wit and lightheartedness balanced by wisdom and compassion. Regardless of religious beliefs, readers will gain a deeper understanding of human nature and our capacity to show consideration and benevolence to those around us as they follow Chan and the Dalai Lama on a global tour. 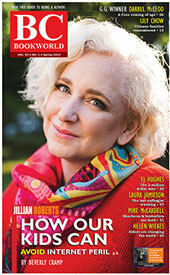 'For the Dalai Lama,' writes Chan, 'compassion and wisdom are the fundamental building blocks of society. In our homes and in our schools, he believes, we should systematically nurture a culture of warmheartedness, a culture of kindness. They are essential elements, critical to having a happy life.' The first place this bond of compassion is formed is when a baby nurses on her mother's milk; as such, women are by nature compassionate "life-givers. To research these two books, Chan has travelled and interviewed the Dalai Lama extensively. They were together at many remarkable gatherings in Asia, the Indian sub-continent, Europe, North America and inside the Arctic Circle. They also had numerous one-on-one conversations at the Tibetan's residence in Dharamsala, India. In the eighties, over a period of four years, Chan made 11 visits to Tibet. He covered 42,000 kms on foot, bicycle, horseback, and by coracles, trucks and buses. He crossed over 200 high Himalayan passes on foot and was the first person to reach Lhasa from Kathmandu by bicycle. He is also the only non-Tibetan to reach all three of the most important Tibetan pilgrimages, Mount Kailash (see Peter Snelling's The Sacred Mountain), Lapchi and Tsari. 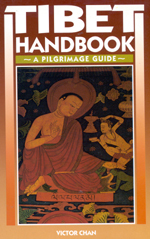 These visits led to his 1100-page Tibet Handbook: A Pilgrimage Guide (Moon Publications, 1994). It is recognized as the most comprehensive guide to the history, culture, art, and sacred places of Tibet. It provides extensive information on Tibet's most important monasteries, hermitages, and pilgrimage sites. In 2005 Chan, together with the Dalai Lama, founded the Dalai Lama Center for Peace and Education in Vancouver, Canada. He has hosted the Tibetan spiritual leader three times in the city. In 2004 he was the chair of the Organizing Committee that convened the symposium on "How to balance educating the mind with educating the heart"; which featured the Dalai Lama, Archbishop Desmond Tutu, Shirin Ebadi and Rabbi Zalman Schachter-Shalomi. In 2006 the Dalai Lama returned to Vancouver to participate in the Vancouver Dialogues, a forum dedicated to promoting the Dalai Lama Center's key themes of compassion, peace and education of the heart. In September 2009, the Dalai Lama once again visited the city to be a keynote speaker of the Vancouver Peace Summit. The conference featured a total of five Nobel Laureates: Mairead Maguire, Jody Williams, Betty Williams, Murray Gell-Mann and the Dalai Lama. Panelists included prominent change agents like Sir Ken Robinson, Eckhart Tolle, Sir Bob Geldof, Martha Piper, Kim Campbell, Maria Shriver, Mary Robinson, Sir Fazle Hasan Abed, Ela Bhatt, Peter Buffett, Pierre Omidyar, Craig Kielburger and others. Chan and the Dalai Lama Center are currently working to bring the Dalai Lama back to Vancouver in the near future.